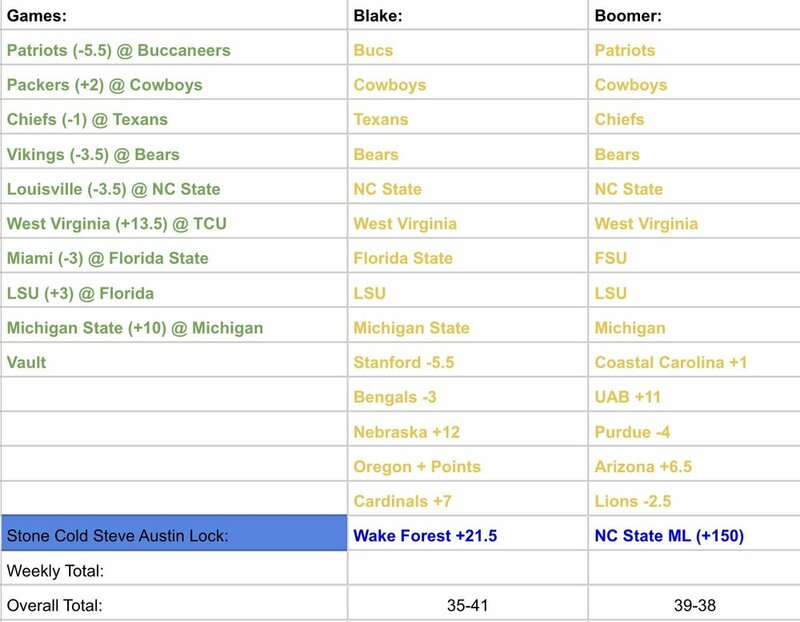 Blake and Boomer are back after a rough weekend to give you all the winners you could possibly want. We've got week 5 of the NFL season and Week 6 of the College Football Season and we've got winners any which way you want them! Check out our picks and picks from the past here!